The Seahawks on Monday waived as injured undrafted rookie free agent linebacker Christian French and signed veteran LB Khairi Fortt to take his place on the 90-man roster. The Seahawks on Monday waived as injured linebacker Christian French, an undrafted rookie free agent from Oregon, and replaced him on the 90-man roster with veteran free agent Khairi Fortt. French was a player it was known the Seahawks targeted early in the undrafted free agent signing process, giving him a $5,000 bonus. But he was seen limping off the field during the last practice of Seattle’s rookie mini-camp a week ago Sunday. If French clears waivers he could remain with the Seahawks on the team’s Injured Reserve list. French was viewed as a contender for the strongside linebacking spot, which looms as one of the most competitive on the team following the departure of Bruce Irvin in free agency. Veteran Mike Morgan — who started two late-season games when Morgan was injured — is the apparent front-runner after re-signing with the team following a visit to the Pittsburgh Steelers, and players such as Cassius Marsh could also be factors at that spot. But the Seahawks have also said they would give a long look to younger players. The 6-2, 240-pound Fortt now likely factors into the SLB battle, as well. He was originally a fourth-round pick of the New Orleans Saints out of Cal in 2014 after declaring early for the draft. He began his career at Penn State where he was teammates with current Seahawks Jordan Hill and Garry Gilliam before transferring to Cal in the wake of NCAA sanctions on the PSU program. 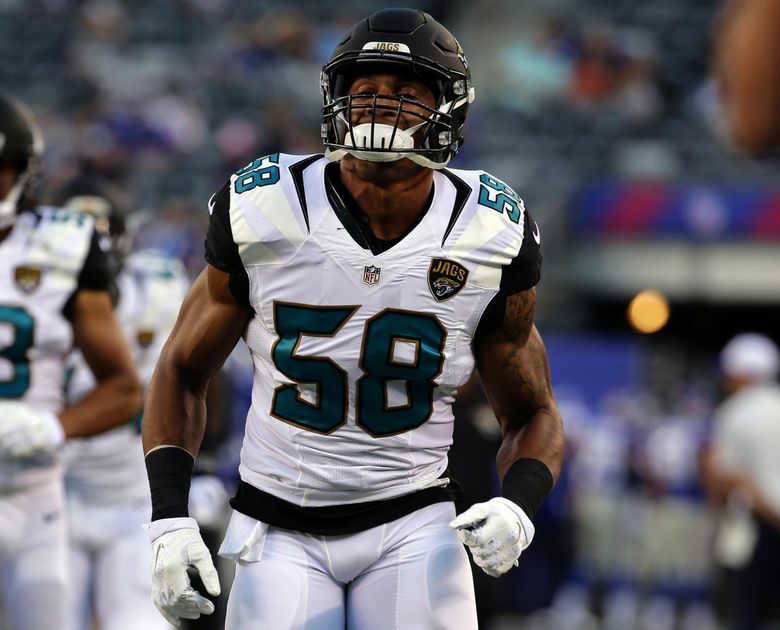 But Fortt was waived in October of his rookie season by the Saints after suffering a leg injury in pre-season, then quickly picked up and almost immediately waived by the Bengals before signing with Jacksonville, for whom he played three games in 2014, making one tackle. He was waived by the Jaguars last August and did not play last season.